Crufts Qualified for life in working dog class . 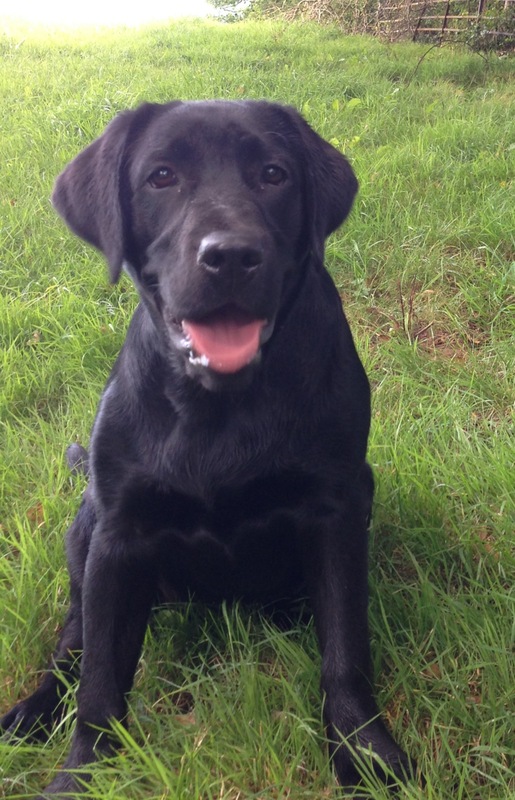 Ludo is annually vaccinated , kennel cough, routinely wormed flea & tick treated. Ludo is our very special boy from Nelly final litter. He is an absolute pleasure to own ,having a very gentle, kind disposition – a truly loving boy. 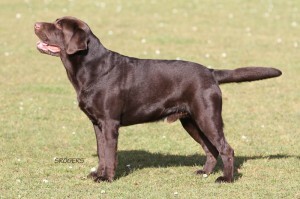 He has a fabulous dark chocolate coat, good eye colour, correct conformation , & excellent DNA results. Ludo has had a good start to his show career with some nice placings. We also go to a gundog trainer for regular lessons (Geoff Shore ). He has taken well to his training & is showing a willingness to learn & proving to be steady.We have recently attended a gundog water training day run by the United retriever club & also a gundog training day organized by the Yellow labrador club (chocs welcome !! ),he enjoyed both days immensely & is showing a natural working ability. 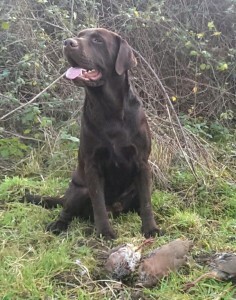 Ludo is proving that all the hard work is paying off as he enjoys his first season on the shoot, he is keen but steady, a useful picking up dog,& has picked pheasant, partridge, pigeon, & duck. He is a big strong athletic boy who will take time to fully mature, & is truly ‘fit for purpose’. He is amazing boy, one in a life time, who is able to wear many hats, a loyal family dog, showman in the ring , a steady dog on the shoot & sire to some lovely puppies with his sweet biddable temperament,& good looks. On the 3/09/2017 in appalling conditions, the rain was torrential from start to finish . Ludo was awarded his Working Gundog Certificate, he was steady , patient , didn’t put a paw wrong in all 5 elements. Ludo has always been a pleasure to train , always biddable, & puts a smile on people’s faces …. 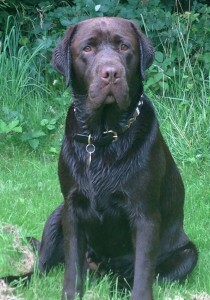 A showbred chocolate who really is fit for purpose… I love this boy to bits ….